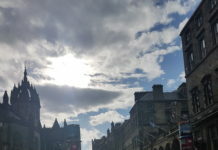 Edinburgh is a very welcoming city for all visitors, and those from the LGBT community might sometimes feel that there are no separate queer spaces, given the integration that happens in all the other pubs and bars. In February, Scotland celebrates LGBT History Month with an excellent selection of programmes and activities right across the country, so you can enjoy everything from film screenings and debates to parties and ceilidhs. 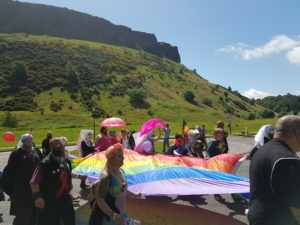 Edinburgh’s gay pride festivities, Pride Scotia, take place every June. The colourful parade sees people of all ages and walks of life march through the city, finishing with a festival which includes a BBQ, health and community fair, live music and entertainment. Scotland’s capital city offers a year-round calendar of activities and events which peaks in summer with the fantastic festivals. 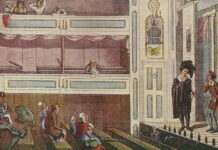 They always include a wide variety of shows with an LGBT theme, from theatre and comedy to club nights and exhibitions. 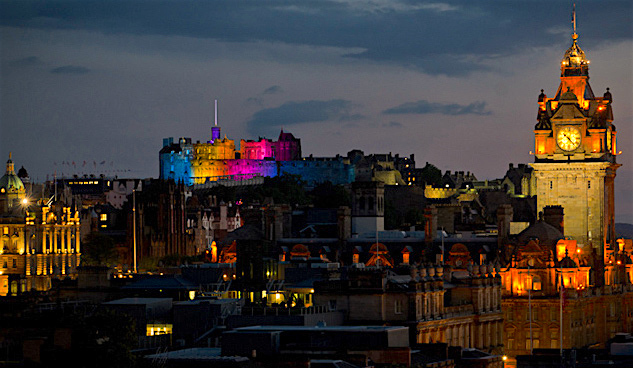 Edinburgh has a small but friendly gay scene home to a number of great cafés, bars and restaurants. CC Blooms on Greenside Place – for more than 20 years, this bar has offered a range of dishes in its elegant upstairs diner, while in the evening it becomes a vibrant cocktail bar with a buzzing downstairs dance floor with free entry. Just along the road, The Street is a classy gay-friendly bar offering a wide selection of cocktails and a tasty menu of burgers, wraps and nachos. Themed nights and pub quizzes take place during the week. Café Nom de Plume on Broughton Street is famed for its cosy atmosphere, welcoming staff and hearty home-style cooking. The Regent on Montrose Terrace claims to be ‘the best real ale gay bar in Edinburgh’, serving up a great range of beers and ales. This venue is also a popular meet up for Edinburgh’s gay and lesbian sports and social groups. The ever-busy Café Habana on Greenside Place attracts a theatre crowd early evening but later on offers good value drinks accompanied by pop tunes. Just a few steps down the road, Planet Bar on Baxter’s Place offers comfy seats and a pool table plus quizzes and karaoke on certain nights. Various other bars around Edinburgh also throw occasional LGBT nights and events. Woodland Creatures on Leith Walk holds LGBT social evenings, while Henry’s Cellar Bar, the Mash House and the Annexe all host pop-up club nights.